MAKE A GREAT FIRST AND LASTING IMPRESSION TO YOUR CUSTOMERS! KEEP YOUR FLOORS LOOKING CLEAN AND BRILLIANTLY SHINY! 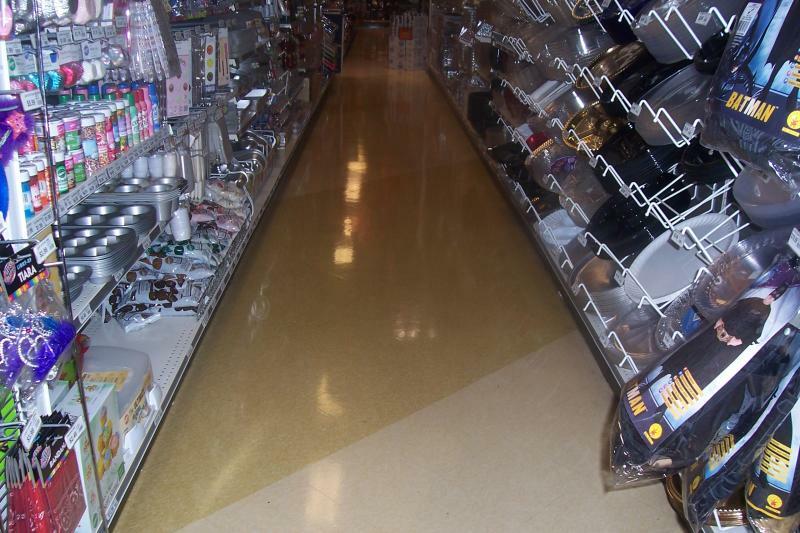 AMPRO SERVICES, INC. provides excellent, quality tile floor maintenance services. AMPRO has the experience and equipment to match any job - Large or Small. Tile Floor Maintance Services include: Strip/Wax tile, Scrub/Buff tile, Scrub/Recoat tile, Deep Scrub/Recoat. 4) Apply 3-4 coats of Floor Finish (wax). To allow for proper drying time, applying more than 4 coats of finish (wax) will require 2 nights service. To keep your newly stripped floor looking great, AMPRO provides regular tile floor maintenance. We will work with you to set up the best program for your retail location or facility. CALL AMPRO SERVICES, INC. @ 815-838-5716 FOR ALL OF YOUR TILE FLOOR MAINTENANCE NEEDS! Copyright 2009 Ampro Services, Inc.. All rights reserved.